Driving to the funeral of a Copper Center teenage girl whose death was alcohol-related, Ken Johns, of the Glennallen area wondered what he could do to curb the use of alcohol among young people. 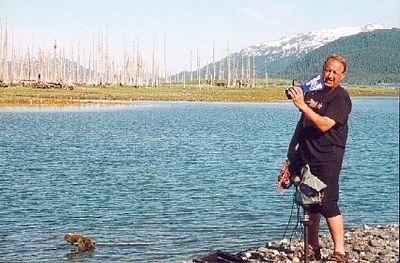 "The song 'Staying Alive' came on the Anchorage radio and I thought maybe I would try to use that song to put it in perspective," said Johns, a current board member and former president of Ahtna Inc., one of 13 Alaska Native regional corporations established under the Alaska Native Claims Settlement Act in 1971. "'Staying Alive' is about positive things you can do, but the song also says 'going nowhere.' There's a lot of negativity in that." The lyrics of the hit song written by the BeeGees in the 1970s for the soundtrack of "Saturday Night Fever" seemed to fit the message Johns wanted to get across, especially the chorus: Whether you're a brother/Or whether you're a mother/You're stayin' alive, stayin' alive. The song's infectious disco beat also seemed a good background for delivering the message that a sobriety-led life can be filled with joy. 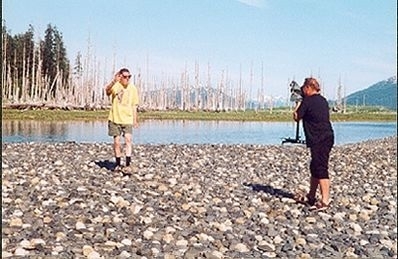 Johns took his idea for a music video with a sobriety message to Bruce Cain, Ahtna's vice president of administration and finance, and Cain pointed Johns toward Paul Gray of Soldotna. Not only is Gray's weekly television show, "Exploring Alaska," seen across the state, the nation and in other countries, but he also has dedicated his efforts to programs with an Alaska Native perspective. "I told him exactly what I wanted to do and he put it together," said Johns. Gray understood that Johns' vision was for a video that emphasized "the positive things you can do in life to help you succeed and be a better person, but if you fall under the influence of alcohol, here's some of the roadblocks you'll probably encounter," said Gray. Cain also pulled in the participation of Liana Charley-John of the Ahtna Heritage Foundation in Glennallen, and she involved Amanda Maxin and the Ahtna Heritage Dancers. Through Charley-John's input, the project expanded to include two songs. "(Johns) wanted the 'Staying Alive' version, and as we were working on it, we started to look at who our target audience was: young people," said Charley-John. Thinking disco a bit outdated, Charley-John suggested using the rap song "Stand Up" by Ken Johns' nephew, Samuel Johns. Born out of the 27-year-old musician's personal struggle with alcohol, the lyrics seemed to connect with the purpose of the project: There's a lot of problems in this world/But anybody or anyone/It doesn't matter who you are/You can have a solution to anything/It's up to you to let it out/Let's not point fingers but put our heads together/Everybody stand up with your faith. Samuel Johns agreed with the connection. "It's pretty much about all the problems that were going on in my life," he said. "Most of my lyrics are against alcohol." When Gray was asked if he could re-do the video, switching the rap song for the disco piece, he offered another solution: one video with two songs. For inspiration, Gray turned to his Baha'i faith, which forbids the use of drugs and alcohol unless there is a medical benefit. "To see other people see the benefit of living without alcohol is a powerful manifestation of people's freewill to choose to be their best," said Gray. "That's what made me thrilled to be part of this." The final product is script-free. The six-and-a-half minute video combines music-backed scenes that draw comparisons and, through the comparisons, deliver the intended message. Based on positive feedback since the video premiered in Anchorage recently, Charley-John is encouraged about the impact it will have. "Kids are going to see what we talked about as we developed it, the good times you have in your life versus the negative, the sorrowful grief, the hurtful things you bring in when you bring alcohol into your life," said Charley-John. For Ken Johns, the video is just what he had in mind, including the scene of a group of smiling, happy youngsters walking down a school hallway with "Staying Alive" playing in the background. "It starts with a positive. They look like they're having fun," said Johns. • To view the video, visit www.youtube.com/watch?v=aQBF96yhDuA. 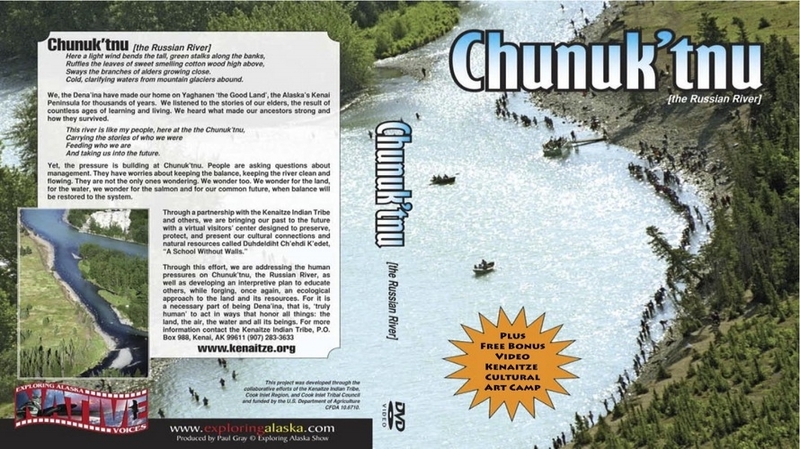 • Ahtna can be contacted in Anchorage at (907) 868-8250 or Glennallen at (907) 822-3476. • For more information on Paul Gray and Exploring Alaska, visit www.exploring- alaska.com. 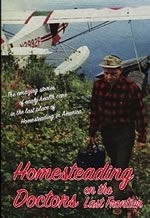 McKibben Jackinsky can be reached at mckibben.jackinsky@homernews.com. It is rare that a person can embrace the unknown and yet present a true picture. Independent film producer Paul Gray can. "When I look at Paul and other videographers, it doesn't matter the color of their skin, it's what they capture," says Bob Terrazas, marketing director for the Alaska Native Tribal Health Consortium. "Paul has the mindset of that creative talent who is able to capture the essence of the people. He's comfortable with people, and village Natives quickly adapt to him. He's able to capture on film what others miss." Quite a feat for someone who jumped from the page to the screen in one mighty leap of faith. A fearless move in February from Texas to Alaska at 22 in 1975 landed him a job with a catering service in Prudhoe Bay, where a one-month stint probably boosts you to sourdough status. Four years later, he opened a newspaper on the Kenai Peninsula, with a most welcome moderate climate compared to the North Slope. "I started Kenai Peninsula Dispatch in '79, and Morris (Morris Communications) bought it, but I've always wanted to go into TV because I had friends in it," Gray says. "I wanted to get into something modern." He didn't go to film school, but asked people in the business about how to go about it. He traveled Outside to conventions where he absorbed information from workshops. Gray had to learn to produce, because 13 years ago, he found himself ahead of himself — he had a show before he knew how to produce a show. "I just kind of got a contract with ABC, sponsored by Dodge, and I had to do it," he says. His first shows were like classes — "how to deal with rivers, fishing and such," he says. But that changed in the early morning hours of Sept. 11, 2001. "I was getting all geared up to go out and do another fishing show and I just had this premonition. I opened myself up and asked for some guidance and it came to me that I should be doing a show on Alaska Natives' experience," he says. "That was my moment of clarity. No matter how much I make, this is what I really enjoy doing." He never did go out on that fishing trip after he and the other clients heard the news of the terrorism attacks on the East Coast. Moving up and away from those early shows, his half-hour program "Exploring Alaska," which is beamed into 110 million homes statewide, nationally and internationally, now focuses on Alaska Natives. "That's all I do right now — Alaska Native perspectives," he says. "I'm in Alaska, and Alaska Natives have a unique perspective." Last March, he filmed the Russian New Year celebration in Nanwalek, which can be viewed on YouTube. 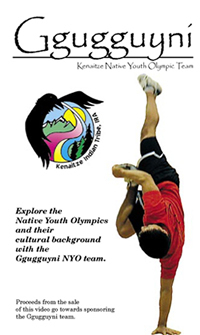 Upcoming shows include one on potlatches in Shageluk, Eklutna and for the 10th anniversary of the Kenaitze Tribe; performances at the Alaska Native Heritage Center's World Music Festival and its Intertribal Gathering; and the Alaska Native Tribal Health Consortium's opening of a new waste water treatment facility in Goodnews Bay. He mentions he is one-sixty-fourth Cherokee. "To me, I'm in the Native community and we're just one big family. During the World Eskimo-Indian Olympics in Fairbanks, Gray videotapes a seal-hop competitor from floor level. "The Maori say that if you have one drop and you identify with the culture, you're Maori," he says. "Alaska — this is the place where the language and culture has to be elevated so people have an appreciation for it. Where can people go if they can't speak their Native language?" And what he really wants his audience in urban Alaska and the Lower 48 to understand is the nature of villages. "In the Lower 48, they've been away from village life for hundreds of years — we're not," he says. His own perspective on life is deeply influenced by his Bahá'í faith and its main tenet of world unity with peaceful conflict resolution, and where service to others is considered a form of worship. This same perspective is mirrored in Native culture, Gray believes. "They call them spiritual values like respect, love, unity," he says. "They are sometimes referred to as spiritual values, but they're both the same way of focusing on the good qualities of everything in the world." Gray believes mainstream reality television, like "Alaska State Troopers" on the National Geographic Channel, "gravitates to the lower forces of humanity." His intention is to let Alaska Natives tell their story in their own words – he's not interested in "beads and feathers" reporting that reflects non-Natives' shallow fascination with the tribal traditions and art. He goes much deeper. While ANTHC's Terrazas says he has videographers "falling from the ceiling" in Anchorage he could hire, for the go-to rural guy, he chooses Gray. He also goes to Gray for those tough situations that demand compassion. "Paul was able to interview someone who was dying of COPD (chronic obstructive pulmonary disease), and Paul was so comforting and so compassionate and was able to comfort him to the point of where he could talk so that you couldn't tell that he had COPD," Terrazas says. "The man died a week later, and really, Paul captured his dying words. Anyone who sees this segment is brought to tears." How Gray understands and reaches into the world of Alaska Natives is unusual for a non-Native, his collaborators say. "It's a very rare thing to see someone embrace a culture that was already here — it's a very, very special person," Terrazas says. "So many people here in Anchorage are from the Lower 48 and with them come the burden of society and a pecking order and prejudice. They only see the bad side, but Paul sees the beauty of it and other things and they miss seeing the truth. He sees the beauty for what it really is. "When I want the warm, touchy-feely connection — he's the guy." Terrazas says he can send any videographer to rural Alaska and they'll go because it's an adventure, and then bring back footage that he can't use. 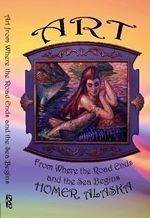 But Gray brings back intimate, insightful work. At the Alaska Native Heritage Center in Anchorage, educational specialist Beckie Etukeok says of Gray, "Paul is pretty intuitive about his approach to his work. "He seems to be keyed into Native facts and views. I've known him for a long time and he's very sensitive to the real issues." Gray is quite clear that recognition of aboriginal rights and the contribution that Alaska Natives make to the character of the state are key to his work. Etukeok is appreciative of Gray's ability to navigate difficult situations in a respectful manner. "He's real tactful about questions that are hard to ask," she says. He accomplishes this quite simply, he says. "One of the things I always like to ask is, 'What is the most misunderstood part of what we're talking about?'" he says. "They know some things that you're not asking." Because of cultural reluctance to brag about oneself, people open up and often will tell a story about another person's experience or refer him to someone who can speak about the person he is interviewing. The figures flicker across the screen, drilling in formation with shoulder rifles in the deep Arctic cold, displaying their contribution to the security of their country no matter that they are so high above the rest of America, invisible to the rest of the world, but in reality they know they are the first line of defense. "Eye-To-Eye With Ivan" is Paul Gray's film about the role the Alaska Army National Guard's Eskimo Scouts played in policing northern Alaska after World War II when Russia and the United States experienced a period of suspicion called the Cold War. It's a significant documentary and one that displays his close relationship with Alaska Natives and their history and culture. Using archival footage and interviews with Guard veterans, the film gives a haunting look back at a time when patriotic Alaska Natives stood guard in the high Arctic. There is a wonderful interview with Tlingit elder Walter A. Soboleff, who says, "I was in the National Guard for 20 years and what an honor and a challenge. You had to be sworn in and promise you will give your life for your country. There was no question they knew what they knew were getting into and they were willing to give." The Cold War cut off Alaska Natives from friends and family across the Bering Strait by the co-called "Ice Curtain" and erected a line of radar defense called the Defense Early Warning System — the DEW Line. Other contract works include "Smoking is Not Our Tradition," for the Kenaitze Indian Tribe, which is a federally recognized tribe and a sovereign independent nation on the Kenai Peninsula and "Chunuk'tnu (The Russian River)" which was a collaborative effort between the Kenaitze Indian Tribe and the Cook Inlet Tribal Council. "He's been working on some things for us," says Steven Alvarez, director of cultural education and strategic initiatives at the Alaska Native Heritage Center. "I've been looking for things for us to collaborate on with him. I do like working with him — he's a nice guy." In October, Gray shot footage of the center's World Music Festival and its November Intertribal Gathering, and Alvarez hopes to use it to encourage additional funding from corporations and other funding sources. "Exploring Alaska" will show a compilation of those events called "Live at the Heritage Center." Please call or email to order a video or for more information. Travel with us to Juneau on "America's Scenic Byway", the Alaska Marine Highway. Cruising through spectacular scenery and abundant wildlife. These homesteading doctors did surgeries in a small clinic to the amazement of many in the medical profession. Alaska's prized salmon. 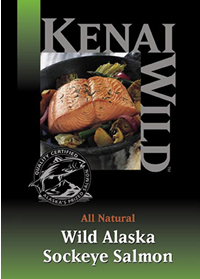 From the glacier-fed watersof Alaska's Cook Inlet comes Kenai Wild™ quality-certified wild Alaska Sockeye Salmon. This is the time to run the dogs, sled dogs to be specific. Now all the land that was next to impossible to ne gotiate in the summer has been transformed into a scenic highway whose white lines are as wide as your imagination and as real as the joy in a sled dogs heart. Ride the trails through the spectacular back country of Cooper Landing. You and your trail guide will ride side by side as he shares with you 35 years of wilderness experience. This is world-class horsebackiding on the best Alaskan bred,mountain trained horses. Savor the solitude during the fall days, with the turning of leaves, golden colors, fish that are silver and the wildlife at peace. Welcome to Alaska's best whitewater! 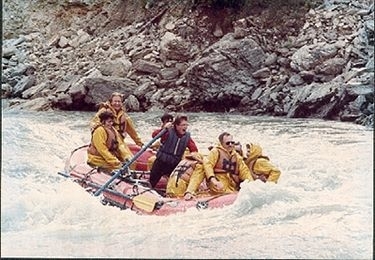 Sixmile reek is a whitewater paradise located a mere 60 miles from Anchorage. Welcome to the city of Kenai, an all-american city! Cooperativer restoration project on Resturrection Creek 2005. 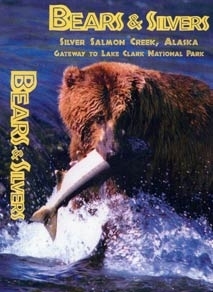 See where Alaska's famous brown bear takes center stage, sentinels on the doorsetp of Lake Clark National Park and Preserve's four million acres. The world's toughest snowmobile race! Experience the Early King Season on the world famous Kenai River. Fish Soldotna! With over 2,800 feet of elevated boardwalk on the Kenai Riverand over 200 campsites,you'll understand why Soldotna is a favorite playground for Alaskans. 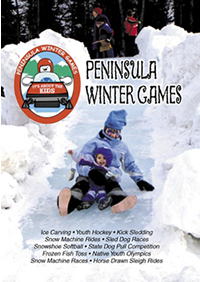 The ice and snow opens the land to all sorts of exciting activities the annual Peninsula Winter Games are at the heart of it all. Cooper Landing is accessible by road,yet still remotely located in the very heart of millions of acres of national forest and wildlife refuge. At K'beq (Footprints) Den'aina Athabascans share their traditions and culture with visitors through interpretive walks featuring archaeological sites and traditional plant use. Come along with Exploring Alaska as we find out why homer attracts so many creative people from all over the world. A festival dedicated to Birds and Bird Lovers. 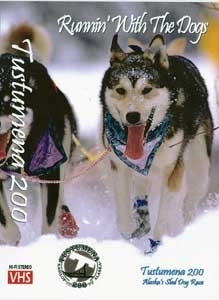 The Tesoro Iron Dog 2000 is the longest snowmobile race on the planet. Racers reach speeds in excess of 110 miles per hour as they speed over Alaska's frozen tundra, enduring wind chills which plummet down to a bone-chilling 50 below zero! You'll see true Alaskan adventure, Witness rod-bending actions while experiencing the world's best fining in the Land of Kings! The glacier fed waters of CookInlet are home to what we call "Barn Doors"or "Hogs"--halibut weighing 100 pounds or more! Explore the secluded charm of Seldovia Rich in ancient history. A visiting couple journey out each day on five different and exciting day trips, all within a hoursdrive from Soldotna.